A native of Buckingham County, Dr. J. Cary Bryant grew up in New Canton, Virginia. He attended Virginia Polytechnic Institute and State University in Blacksburg, where he received his Bachelor’s of Science Degree in Animal Husbandry. From there, Dr. Bryant moved to Richmond, VA to pursue a degree in Dentistry at the Medical College of Virginia (MCV) where he met his wife, Louise. 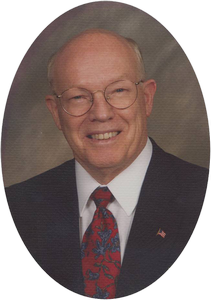 In 1967, Dr. Bryant graduated from MCV with a degree of Doctor of Dental Surgery. After graduation, he and his wife returned to Buckingham County to make a home, raise a family, and establish a dental practice in Dillwyn. Since opening his dental practice in 1967, Dr. Bryant has been committed to staying informed on the most current dental techniques and knowledge in order to offer the highest quality of care to his patients. The purpose of his practice is to teach patients how to care for their teeth and maintain their oral health. Dr. Bryant prides himself on being a gentle dentist. Outside of his busy practice, Dr. Bryant enjoys spending time with his family. He and his wife have two daughters, and four grandchildren. His oldest daughter, Kathleen Bryant Seiler, DDS, joined his practice in 2010. His son-in-law, Dr Joseph Seiler, joined the practice in June 2012. Dr. Bryant also enjoys spending time working outdoors on his small farm.